It’s a huge weekend at Hang Fire here in Savannah. And, as always, the Savannah weekend starts on Thursday night. 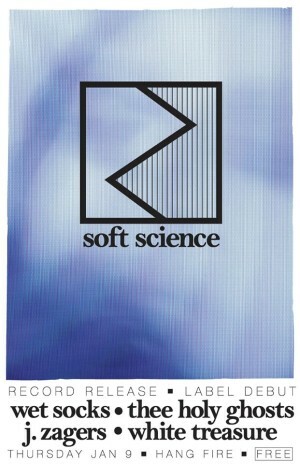 Soft Science — the new Savannah-based record label headed up by Gus Muller (best known on the scene for his work with Safe // Sound) and Skip Terpstra, a photographer and videographer — is hosting a release party for its first vinyl, tapes, and other merch. The show is being headlined by the garage rock duo Wet Socks, who have hit 2014 running. Click here for the Facebook event invitation. Click here for my column about Soft Science in Do. Click here for Bill DeYoung’s piece in Connect Savannah.